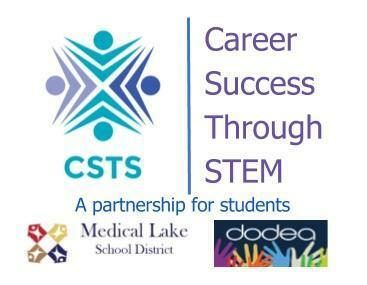 The Medical Lake School District is excited to announce that we have received a million dollar STEM grant from the Department of Defense Educational Activity (DoDEA) entitled Career Success Through STEM! Applying was a stringent process of writing to the DoDEA’s expectations, developing a budget, and creating a plan that constantly measures the grants expectations. The focus of the Medical Lake School grant is Science Technology Engineering and Math (STEM), using teaching strategies that incorporate technology. All students will be provided with a Chromebook over the course of the next few years. The introduction of the Chromebook rollouts are as follows: High School: September of 2018, Middle School: September of 2019, Elementary Schools: September of 2020. You can understand the many opportunities and challenges this brings about to both the school system and families. The District is excited to be able to provide a powerful tool that brings education to life using the many applications available. We feel very fortunate that ALL students will be able to have a Chromebook to use and at the High School and Middle School take home for use. Elementary Chromebooks will stay at school. We are asking that families partner with the Medical Lake School District to teach students to be responsible for these devices. When registering for the new school year (see assigned years for roll out), families will be able to access “Getting Started with 1 : 1 Devices” packet that explains; a letter of purpose, Chromebook user agreement, and a One to One Responsibility Manual. Packets are available on line at: www.mlsd.org. Go to Department tab, then Technology. Hard copies will be in Counseling Center and Business Office at the High School after August 15th. Each building will have a plan in place to help teach the students about procedures and responsibilities. We will be asking students to sign a safety and responsibility form. There will be a yearly $25.00 non-refundable technology fee for each student on paid lunches or a $10.00 fee for free and reduced lunch students. This fee helps with cost of repairs and other incidentals that might occur. Details are provided in the “Getting Started with 1:1 Devices” packet. The Medical Lake School District is proud to partner with the DoDEA and provide this opportunity for our military and non-military students. We believe this grant provides equal opportunity for ALL students to meet the demands of the 21st Century.